The VoIP Hurricane Net will activate starting at 900 AM EDT Thursday Morning through Saturday Evening for Dangerous Hurricane Florence’s impacts to North and South Carolina. WX4NHC, the Amateur Radio Station at the National Hurricane Center, will activate at 900 AM EDT Thursday 9/13/18. Florence is expected to be a dangerous major hurricane and slowing her approach to the North and South Carolina coast Thursday Night through Friday Night with hurricane impacts and landfall some time on Saturday. 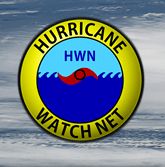 This entry was posted in Ham Radio, News and tagged Hurricane Florence, Hurricane Watch, VoIP Hurricane Net on September 15, 2018 by Thomas.